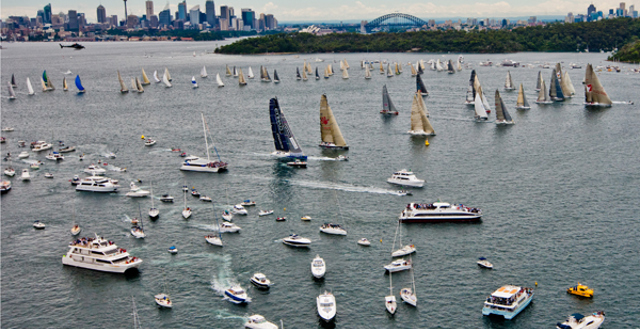 Race day for the 66th Rolex Sydney Hobart fleet dawned cloudy and rainy for the 87 competing yachts. The grey weather added a bit of gloom and foreboding to what may be in store for the crews racing to the finish line in Hobart, 628-miles away. After four hours of vintage downwind racing in flat seas and a 12 knot north-easterly breeze, the frontrunners in the Rolex Sydney Hobart have hunkered down for the long grind to windward that will probably get worse before it gets better. The Rolex Sydney Hobart, which started from Sydney Harbour at 1pm this afternoon, is shaping up to be two quite distinctive races wrapped into one; the first half, from Sydney Heads to Flinders Island on Tasmania’s north-eastern tip and the second, from Flinders to the finish in the Derwent River. 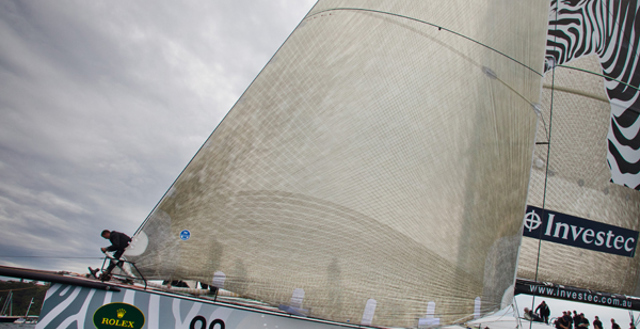 As night fell Grant Wharington, the skipper of the Melbourne 98 footer Wild Thing reported that his supermaxi was beating into a 25 knot south-easterly breeze under a reefed mainsail and jib. He expects that during the night the wind will rotate to the south west. 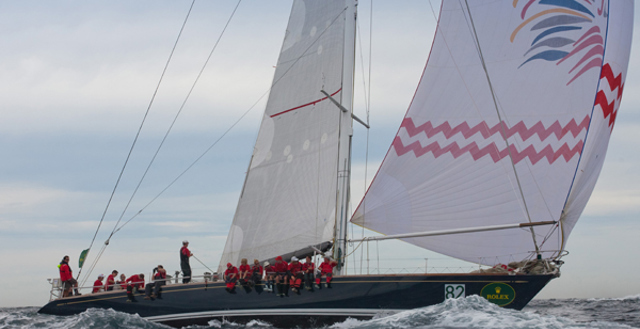 The Mark Richards skippered 100 footer, Wild Oats XI, shrugged off a cheeky challenge from Grant Wharington’s Melbourne 98 footer, Wild Thing, to stamp its mark early on the Rolex Sydney Hobart line honours battle.